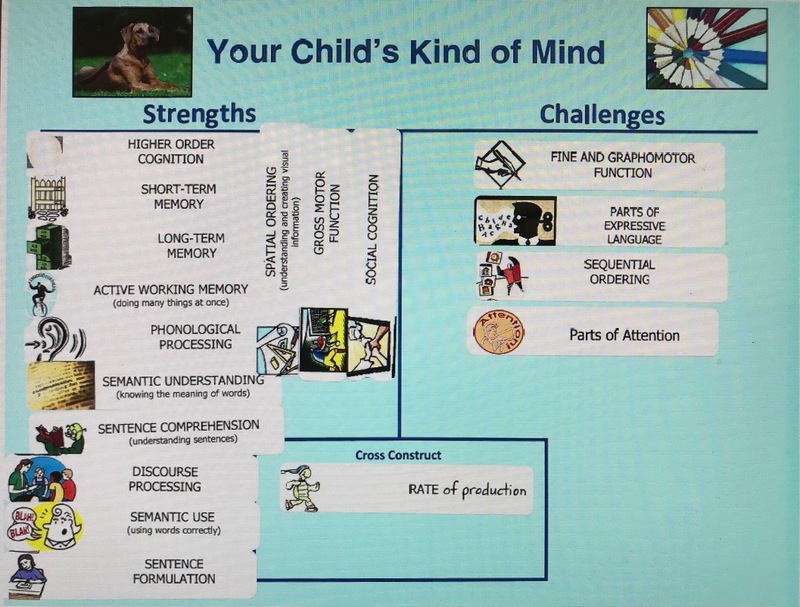 Here at The Yellin Center, we've gotten much feedback over the years that our process of "demystification" -- sharing our preliminary findings, with a focus on areas of strengths before we address any challenges -- helps even young children better understand how they think and learn and how to integrate their learning profile into their evolving self-image. With this understanding, they become more comfortable using the learning strategies and supports they need to succeed. Over the years, we've heard from many parents how children find this process empowering. For example, one young elementary school student brought his "demystification sheet", which listed his areas of strength and challenge in simple language, to school. When his classmates teased him about using a laptop in class, he pulled out the sheet of paper and pointed to it. "Dr. Yellin says I have something called dysgraphia, " he told his classmates. "That means I have trouble writing. So I need to use a laptop to write. You got a problem with that?" We were told that this put the teasing to rest. "Our brain is divided into two main things: your strengths and your challenges. Each person’s strengths and challenges are different. You also have long-term memory and short-term memory. Most people think of short-term memory as 'I only remember things for a little bit,' but short-term memory is…things you know off the top of your head. Then long-term memory is down there and you have to look for it. You have to think about those things…[It’s] like a closet. The things you were just using you can just grab out at the top. The things you haven’t worn in like a month are super deep in there." Clearly, Henry was listening when he sat around the table with The Yellin Center team after his assessment. We're delighted that he brought his insights to share with his class. Thanks, Henry!